How to convert WAV to MP3 with Xilisoft Audio Converter? Current Page: Xilisoft > Audio Converter > How to convert WAV to MP3? 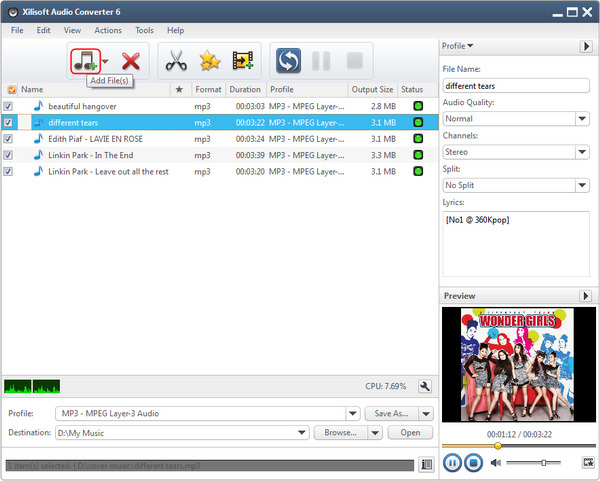 If you now have a bunch of .WAV files in hand and want to convert these .WAV files to MP3 audio formats, Xilisoft Audio Converter can help you convert WAV to MP3 with superior music quality. Besides, it can also convert between nearly all audio formats including MP3, WMA, WAV, AAC, FLAC, OGG, APE, etc, and extract audio from nearly all video and HD-video formats including AVI, MPEG, WMV, MP4, FLV, MKV, H.264/MPEG-4 AVC, AVCHD, etc. Free download it to have a try now. 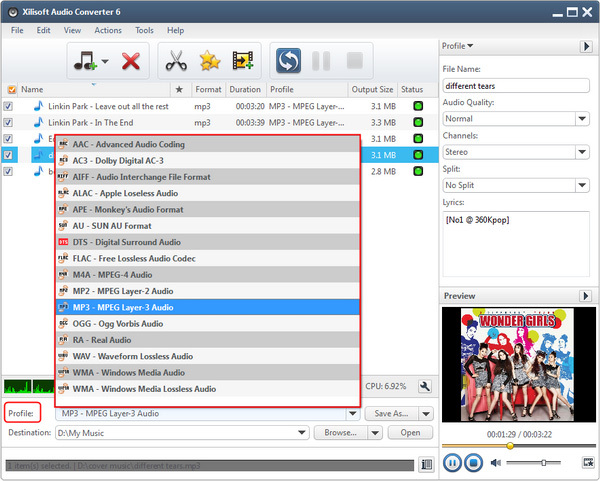 This tip will tell you how to step by step convert WAV to MP3 with the powerful WAV to MP3 converter software. 1. Free download the simple-to-use WAV to MP3 Converter, install and launch. 2. Add the WAV music files from the "File" menu in batches. Tips 1: If you need, append many tasks at one time and the WAV to MP3 converter will convert them one by one for saving your time. Concise interface and fast conversion speed make the whole WAV to MP3 conversion much easier and faster. Why not have a try to enjoy its powerful functions. You will find more information at: Convert WAV to MP3.